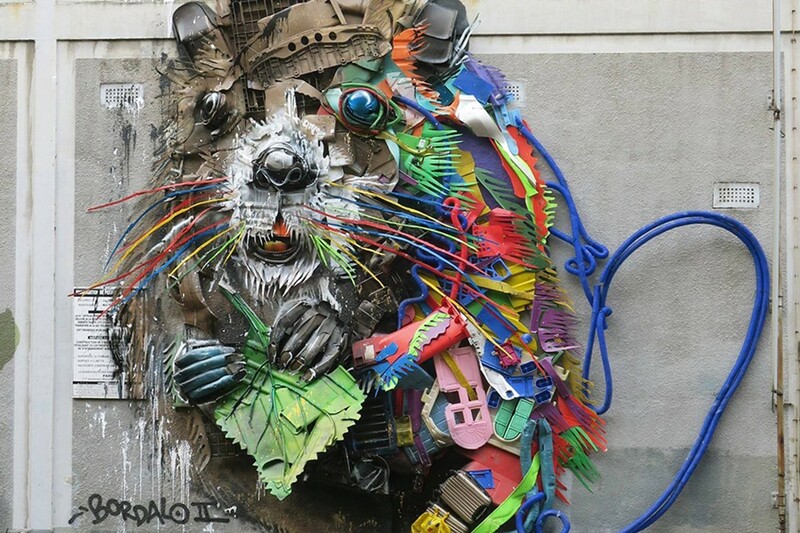 ”Trash Animal,” mural artist Bordalo II, Paris, France. Photographer unknown. I write a lot about the importance of non-attachment. Not, to be clear, of being “unattached” (or “love avoidant”), because the difference between these two and “non-attachment,” though seemingly small, means the difference between emotional health and turmoil. All of this is different than “unattached,” avoidant, dismissive, etc. It is still warm. It’s just not flailing. This is directly related to understanding what we do and do not control — that being: we only control ourselves and our responses; we do not control others or the universe; we cannot keep change from happening, but we can control how we react. But neither of these, to be clear, contradict love. In fact, on the contrary, they are love. The difference is: it’s healthy love. It would seem that I’m talking about “suppressing emotions” and “keeping people and things at arm’s length,” but I’m not. Good joy — and good love — is self-fostered. It is not dependent on others, or the universe. It is ours. And when we allow ourselves (and recognize our) agency over our own joy, we permit ourselves a degree of health and happiness that can’t even be comprehended by those who don’t. All of life’s (and major religions and philosophies) messaging come down to pretty consistent principles. Stoicism, for example, commends: practical wisdom (the ability to navigate complex situations in the best way possible), courage (to do the right thing), justice (so that we know what the right is), and temperance (doing everything in reasonable measure, not too much nor too little.) Following this makes a person happier, healthier — better, as it is. And you can see the easy translation from the broad and general to the realm of love, specifically. Buddhism commends four boundless qualities, which literally have “no measure.” They are equanimity, compassion, joy, and, yes, explicitly: love. They, too, account for love — even as they simultaneously value non-attachment. Because to be non-attached is not to be distant. It is simple to honor each other, without ownership, demands, or claims. Many of the behaviors and suffering that we assume are a “normal” part of love (from jealousy to infidelity to heartbreak) can be avoided. They are not an innate part of mature, healthy love. What we all really want is ease and happiness and warmth. We can have more, not less, love — and we can be happier, not less happy — but establishing “love” within the framework and on the foundation of non-attachment. Because by relinquishing our “attachment” — demands, ownership, poor emotional boundaries, codependency, etc. — we open ourselves up to loving in a truly healthy and mature manner, which opens love up to something even more beautiful.